Expert panel recommendations are criticized for lacking teeth. After switching its water source to the Flint River in 2014, Flint officials did not follow federal law to ensure that the water did not corrode lead pipes. The scandal in Flint, Michigan, erupting with galling revelations every day, is drawing national attention to the danger and prevalence of lead pipes in American water systems at the same time that the U.S Environmental Protection Agency is revising federal regulations for lead in drinking water. The goal of the revision is to strengthen standards that were first issued in 1991, then tweaked in 2000 and 2007. It is needed. Water testing requirements under the current rule miss the most severe cases of lead pollution. Just over 8 percent of U.S. water systems have exceeded the federal threshold for lead. But if testing requirements were stricter, more than 70 percent of systems would be in violation, according to a 2014 study from Arcadis, an engineering consultancy. Because the Lead and Copper Rule is one of the most complex and nuanced federal drinking water regulations and one of the most difficult to put into practice, the update has drawn keen interest from water utilities and state regulators, who must ultimately implement the changes, and environmental health groups, who are campaigning for tougher measures. The National Drinking Water Advisory Council (NDWAC), which consults with the EPA on regulatory matters, submitted in December its recommendations for strengthening the rule, which the EPA expects to publish in draft form in 2017. The council acted on the advice of a 15-member working group comprised of utility representatives, public health officials, researchers, and clean water advocates. The council took what appeared to be a firm stance. It said that water utilities should be more proactive in replacing lead service lines, the pipes that branch off a main distribution line and deliver water to individual houses. Rather than simply preventing the lines from leaching lead by using chemical additives that form a protective internal seal, eliminating lead services lines altogether should be the national goal, the council stated. It is a worthy aspiration that garnered acclaim. However, critics — while endorsing the council’s intent — contend that the substance of the proposal is lacking. The council, they argue, offered a vision of a lead-free future without providing the regulatory sticks to guarantee that utilities actually follow through. Other observers fear that the NDWAC recommendations are riddled with loopholes, waiting to be exploited. They argue that if the EPA accepts the council’s proposal in full, without adding stronger accountability, oversight, and enforcement, the changes would weaken public health protections, not improve them. “The recommended changes would dilute the current rule and leave us vulnerable to missing widespread contamination,” Yanna Lambrinidou, a member of the NDWAC working group who offered its only dissenting opinion, told Circle of Blue. Most federal drinking water regulations require utilities to scrub water of pollutants at the treatment plant, before the water is sent into the thousands of miles of pipe that branch throughout a city. Uniquely, the Lead and Copper Rule requires utilities to measure water quality at the household tap. No other Safe Drinking Water Act regulation does so. A sign above the sinks at Woodside Church in Flint, Michigan, warns people not to drink the water. Lead levels are too high. The current rule emphasizes the use of chemicals to fiddle with water chemistry so that lead pipes do not corrode. If that does not work, then utilities must begin replacing lead pipes. A utility must do so only if more than 10 percent of the water samples are above the federal “action level” of 15 parts per billion. Cities with a half million people or more may test fewer than 100 homes to comply with the law. Individual households may have exceptionally high lead levels, but the city is not required to act unless the number of contaminated samples eclipses the 10 percent threshold. The EPA acknowledges that there is no safe level of lead exposure, particularly for children, whose brain development is at risk. corrosion control treatment in reducing exposure to lead and copper and to trigger additional actions that equitably reduce the public’s exposure to lead and copper when corrosion control treatment alone is not enough.” In other words, keeping to the same basic playbook. The revisions ought at least to bring the nation closer to lead-free drinking water, but that is not what Lambrinidou sees happening at the moment. In her statement of dissent, Lambrinidou, an affiliate faculty member at Virginia Tech and the president of Parents for Nontoxic Alternatives, identified four areas of concern with the NDWAC recommendations. First, the EPA ought to require utilities to evaluate more regularly the effectiveness of their corrosion control practices. Second, the revisions ought to mandate better public education about lead. If residents knew that the testing procedures do not ensure every home has safe lead levels, they might be more willing to test their water and agree to rid their property of lead pipes. Third, the new rule ought to strengthen the testing procedure so that proper techniques are used and homes with the highest levels of lead are accounted for. Utilities can game the system by letting the tap run for several minutes to flush residual lead. Or by using small-mouthed bottles, which can be filled only when tap water flows at a trickle, another way to minimize lead. The few samples that they are required to take means that the worst cases of contamination may be overlooked. Lambrinidou cited a study presented in November 2014 at an American Water Works Association conference to support her point. That study found that 70 percent of public water systems would exceed the federal threshold for lead if they expanded their testing programs to include the highest-risk homes. Fourth, the recommendation to eliminate all lead service lines should come with measurable targets and timelines to ensure that the work is completed. Also, the rule should ban partial lead service line replacements, Lambrinidou said. Partial replacements occur when the utility replaces only the segment of the line that runs from the distribution main to the meter. A 2011 EPA study found that doing so actually increases lead levels. Lambrinidou was not originally a member of the NDWAC working group. Looking over the names of those selected, she became alarmed at the lack of on-the-ground experience with lead in drinking water. Lambrinidou’s concerns about the NDWAC recommendations were echoed by Elin Betanzo, a water policy analyst at the Northeast-Midwest Institute. “There aren’t any measures to hold water utilities accountable and nothing to enforce it,” Betanzo told Circle of Blue, referring to the NDWAC recommendations. Betanzo also has a long history with lead issues. She worked in the EPA’s Office of Groundwater and Drinking Water in 2002, when Washington, D.C. had its own lead contamination crisis, and was one of the first EPA staff members assigned to the D.C. case. The experience was instructive. Last year Betanzo began to notice a pattern in Flint that was familiar: high lead levels being detected in drinking water, public agencies not being straightforward about the problem, and officials downplaying the danger of lead exposure. Alarmed, she shared her concerns with Mona Hanna-Attisha, a friend since high school, on August 26. Hanna-Attisha, a pediatrician at Flint’s Hurley Medical Center, responded, initiating the study that found the number of Flint children with high blood lead levels had doubled since the city switched water sources. Chavez, the Earthjustice lawyer, mentioned another area in which the current rule could be strengthened: the definition of who controls service lines. When utilities replace lead service lines, they are required to replace only the portion that they control. Service lines often run in segments: from the main to the meter, which is on public land, and from the meter to the house, which is on private property. The current rule defines control as ownership of the line. The common interpretation is that utilities own only the segment from the main to the meter. It is a much narrower definition than EPA originally intended, Chavez said. The 1991 rule allowed control to be interpreted broadly, meaning utilities had the authority to replace the entire line — that was the presumption, even — and they could use ratepayer funds to do so. But that definition was slipped into the rule without an adequate public comment period. It was challenged successfully in court on technical grounds by the American Water Works Association. The EPA ended up using the narrower meaning of control. The definition matters. Many utility lead service line replacement programs focus only on the segment the utility owns. Homeowners are offered the opportunity to have their side replaced at the same time at their own expense, but most balk at the price tag: from $US 1,000 to $US 7,000. The result: partial replacements, which have been shown to increase lead levels. The ramifications are evident in Washington, D.C., which began a lead service line replacement program in 2004 after its lead contamination crisis. Only 19 percent of the 19,895 replacements to date have been full replacements. The city even began scaling back its program after the EPA study on partial replacements, according to Nicole Kaiser, a DC Water spokeswoman. Nationwide, there are about 7.3 million lead service lines still in use in the United States, according to the EPA. Chavez was disappointed that NDWAC did not recommend revisiting the question of control and ownership. She sent a letter to NDWAC and the EPA in November to argue her case. “The definition is so key as to whether people have their lead service lines replaced,” Chavez explained. The irony in the matter is that even though Flint did not institute corrosion control, as is required under federal law, the EPA has not admitted that Flint violated the lead rule. City officials used sampling methods that are proven to minimize the detection of lead and it threw out samples with the highest lead levels in order to come in under the 10 percent threshold. Had the current rule been followed, the Flint disaster would not have happened. Still, some homes — up to 10 percent — could have had high lead levels without any corresponding action. That inadequacy is what clean water advocates hope the Lead and Copper Rule revision will address. The EPA, however, has little to say about the debates surrounding the revision. Lee did not respond to a request to interview the EPA officials who participated in the working group meetings. The agency expects to have a draft rule ready in 2017, according to Lee. That is too slow for some. 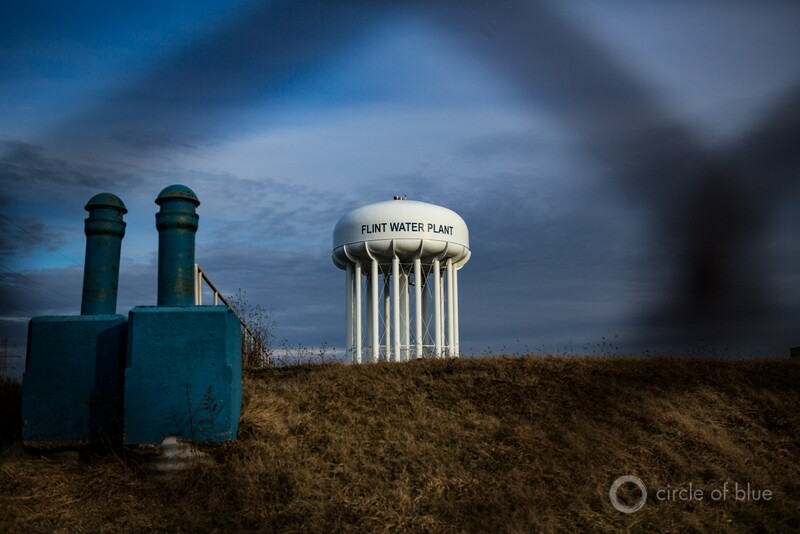 In the wake of Flint, the languid timetable — publishing a draft rule some 13 years after the need for a comprehensive overhaul was identified — has opened the agency to criticism over the pace of reform. At the House Oversight Committee hearing, Rep. Gary Palmer (R-AL) was bewildered by the length of the process. “What are you waiting on?” Palmer asked.